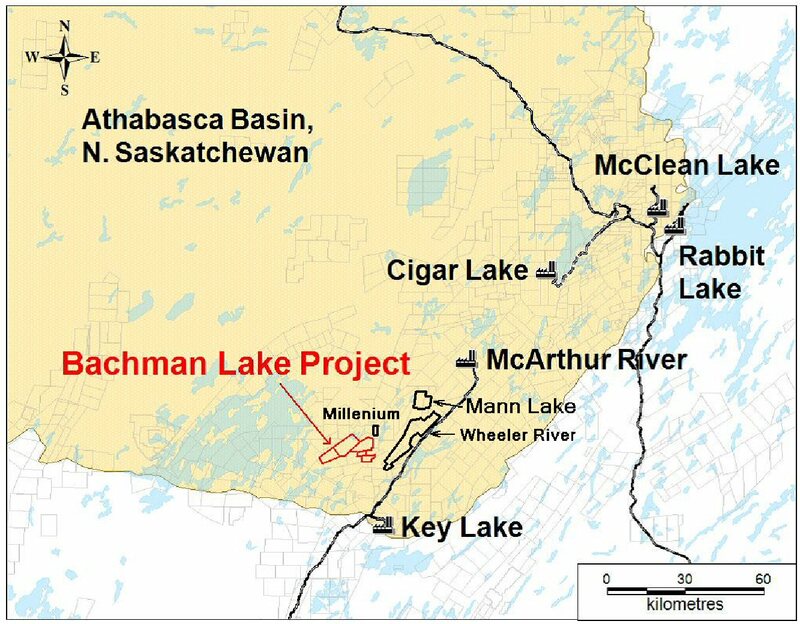 - Partnered with Denison Mines Corp.
International Enexco Ltd. (the "Company" or "Enexco") is pleased to announce that a 1,900 metre diamond drill program on the Bachman lake uranium project has been started by the project operator, Denison Mines Corp. ("Denison"). The three hole drill program will be helicopter supported from the Wheeler River camp. The budget for the 2013 program is CDN$570,000. Enexco's share is CDN$514,000. On June 25, 2013, Enexco entered into a joint venture agreement with Denison whereby Enexco can earn a 20% interest in the Bachman Lake project by funding CDN$500,000 of exploration work by December 31st, 2013. CR-2, ML-2, and ML-1. The three conductors trend east-west to southwest-northeast and are 2.5 to 5 km apart within the 11,419 hectare property. In November, 2012 Denison acquired through a private placement 5.4 million shares of Enexco, which represents a 7.4% interest of the present issued and outstanding shares. Denison's strategic investment was proportional to Enexco's portion of the 2013 exploration program on the Mann Lake project. Furthermore, on December 19, the Company announced that Ron Hochstein, the President and Chief Executive Officer of Denison joined Enexco as a member of its Board of Directors. (30%) and AREVA (17.5%)-two of the world's largest uranium companies.